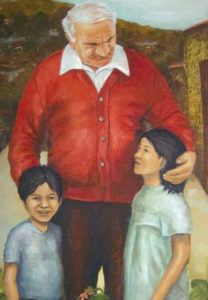 The Father Joseph Walijewski Legacy Guild was started on March 19, 2013 when an edict was hung on the doors of The Cathedral of St. Joseph the Workman. Membership is open to everyone interested in supporting the Guild’s mission and purpose. If you are interested in joining the Father Joseph Walijewski Legacy Guild, please complete this form with your donation. Thank you to everyone involved with the Father Joseph Walijewski Legacy Guild and the efforts of educating the public about Father Joe’s life. We appreciate your kind support and prayers and look forward to celebrating with you as Father Joe’s cause progresses.